Tammy Houghtaling, program director for JPSA Gallup, spoke about the program to commissioners Billy Moore and Tommy Nelson during the Board of Commissioners’ regular meeting March 19. According to JPSA State Director Ken Langely, the academy received over 100 applications last year, and graduated about 60 out of 80 students. He added that about 80 percent of the participants last year were Native. Langely also emphasized that none of the people running the academy are paid for their efforts. “We do this out of our hearts for the kids of the community,” he said during the meeting. 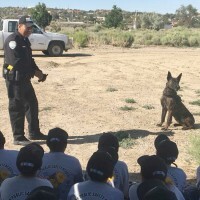 Children between 10 and 18 are able to interact with police officers, fire fighters, first responders, and EMS through the first-hand experience of the life of a cadet or recruit in training. Participants are introduced to subjects including Military Bearing and Drill, Physical Fitness, Officer Safety, Fire Safety, CPR, First Aide, Search and Rescue, Scuba Diving and Team Building Exercises. 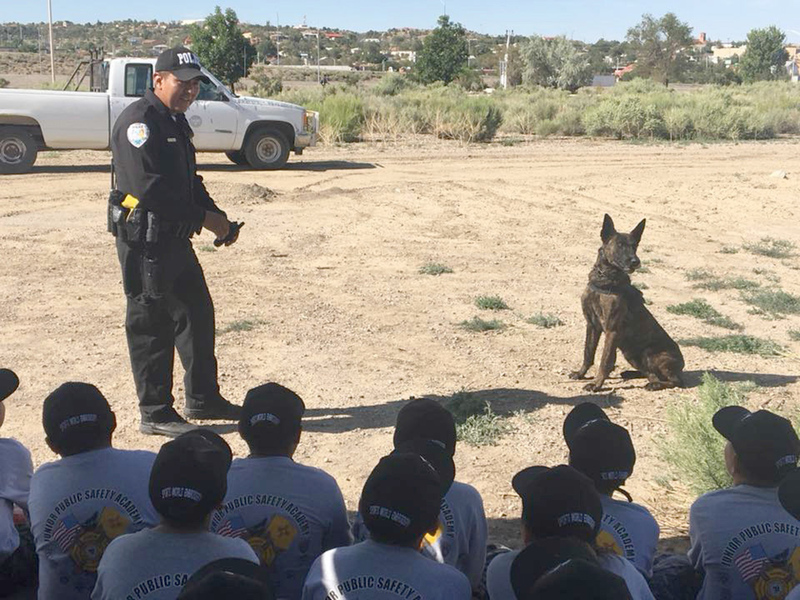 The academy’s curriculum teaches local youth what it’s like to be a police officer, fire fighter, EMT, or military service person. Other lessons include firearms training, defensive tactics, fire prevention and safety, and crime scene investigation. During its early years, the JPSA was affiliated with UNM-Gallup and put on two academies per summer. But in 2018, it underwent a reorganization and split off from UNM-G to establish a new home base. Langely said there will only be one academy this year. Andy Yearley, a Gallup patrolman, said the academy is a great way for youth to interact with public safety officials. “[They will] see a different side of law enforcement,” he said during the meeting. Once the presentation was finished, Moore thanked the speakers for their dedication and support to keep the academy going. The academy is set to begin this summer. Sign-ups for JPSA Gallup are March 23 at the JPSA Office on 827 E JM Montoya Boulevard, with the academy slated for July 22 to 27. The second reading of an ordinance for a local economic development project for Personal Property Tax Abatement incentives proposed by Arroyo Solar LLC, and Arroyo Energy Storage LLC was approved with a 3-0 vote. A proclamation designating April 11 as “Fair Housing Day” to promote fair housing in compliance with the Community Block Grant Program was approved with a 3-0 vote. A request for McKinley County to be a fiscal agent for the Illegal Dumping Landscape Restoration and Community Engagement Projects Current Recycling and Illegal Dumping grant was approved with a 3-0 vote. The county would front the money for the cleanup of public, private and tribal land and then be reimbursed. An estimate given during the meeting was about $75,000 to clean eight sites.